Synopsis: Aswapathi, a Prince, ruling over the kingdom of Madra. For years after his Royal Wedding with Queen Malavi, hid did not have a child. He thereupon invoked Savitri, his favourite deity, and through her grace, he had a daughter who bore the same name as the goddess. As years went by, Savitri was always playing in the palace and in the forest with her companion Vasanthika. One day her pet deer escaped into the forest, both Savitri and Vasanthika ran after the creature but found that she was held and kept in captivity by Prince Satyavanta, son of king Dyumatsena. Savitri then recalled the features of the young man whom she saw in the dream. Eventually she got her deer back but could not forget Satyavanta. She made a portrait of her beloved, and was worshiping it daily. Trivia: This was based on Dharmavaram Gopalacharya's stage play 'Ramadasu'. Notes: The first cinema hall in Andhra Pradesh was Maruthi Talkies in Bezawada constructed by Pothina Srinivasa Rao in 1921. This theatre was inaugurated on October 23 that year. The theatre still exists. It was the beginning of the birth of cinema theatres. 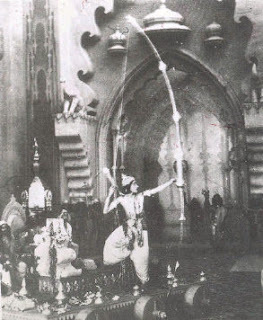 The first talkie ever made in India, Alam Ara, was first released in this theatre. It enjoyed such a pride of place that all the films made at Bombay and at other production centers were first released in Maruthi Talkies, along with their release in Bombay. 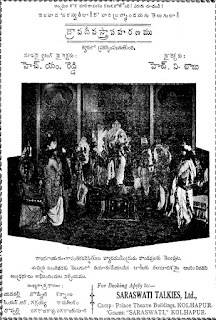 Srinivasa Rao also turned producer-director with his film titled Prithvi Putra in 1933, under his own banner Saraswathi Movietone. He was also the film's script writer. Synopsis: Chintamani was based on the legendary story of a Sanskrit poet and devotee of Lord Krishna named Bilwamangal. Bilwamangal (Pulipati), a resident of Varanasi, was a Sanskrit scholar, who gets infatuated towards a courtesan called Chintamani (Ramatilakam), a woman of ill-fame. As a result he deserts his wife. However, Chintamani is an ardent devotee of Lord Krishna and spends most of her time singing bhajans in praise of Lord Krishna. His attraction towards Chintamani eventually draws Bilwamangal closer towards Lord Krishna and transforms his life forever. Bilwangal, himself, becomes a devotee of Lord Krishna and pens a monumental Sanskrit work Sri Krishna Karnamritam. 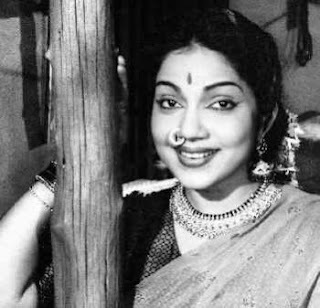 Notes: Surabhi Kamala Bai played the protagonist's role in Bhakta Prahlada - the first Telugu talkie. But how many of us know she was born on stage while her mother Leelavati, a veteran theatre artiste, was giving a performance. Leelavati was playing the character of a pregnant woman, and the crowd for a moment thought Kamala's birth was part of the play. Elated as they were, they threw coins while the pregnant mother actually wreathed in pain. 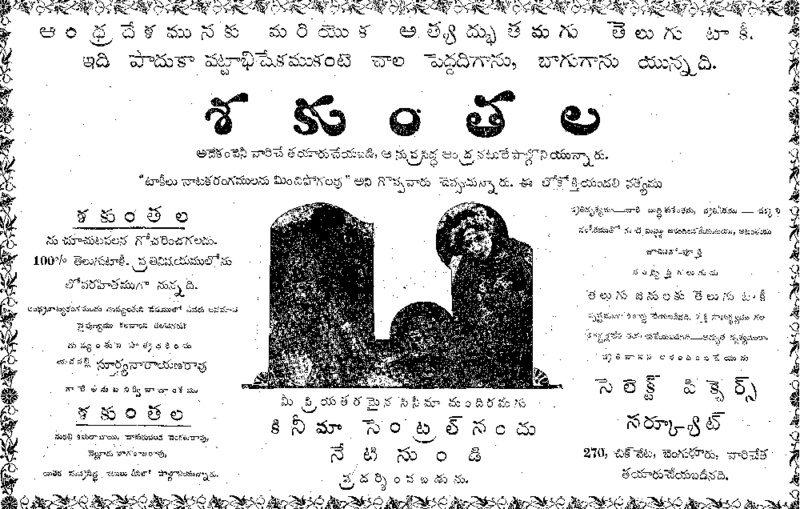 Bhakta Prahlada is the first Telugu talkie movie made in 1931 by H.M. Reddy, a pioneer in Indian film industry. It is a classic mythological drawn from the Vishnu Purana. Prahlada, the son of the demon Hiranya Kasipa (Subbaiah), defies his father and worships Vishnu. He is imprisoned but Vishnu protects him. Synopsis: The story was about a middle class revenue inspector, a Gandhian Punyamurthula Purushothama Rao (Daita Gopalam), his wife Bhramaramba (Sr. Sriranjani) and their two daughters - Kalindi (Bhanumathi) and Kamala (Pushpavalli). Rao was against giving dowry. But he was forced to sell his ten acre rice field to pay dowry to marry off his elder daughter Kalindi to Basavaraju (Kocharlakota Satyanarayana) adopted son of Singaraju Lingaraju (Balijepalli Lakshmikantha Kavi). Marriage brokers Pellilla Perayya (Peri Ramachandra Murthy) and Vivahala Veerayya (J. Satyanarayana) con with Lingaraju to make Rao agree to pay the dowry. Upset that her marriage would leave her parents penniless, the sensitive Kalindi commits suicide by jumping into the well. Synopsis: The film tells of the decadent dancer, Madhuri (Kanchanmala), who seduces the upright Dr. Krishna Rao (Ramanujachari) into leaving his good wife Radha (Kannamba). The doctor becomes an alcoholic and is framed for the murder of Vishwasa Rao, the trustee of his father's estate. Krishna Rao's brother-in-law Gopinath (Nagaiah) helps the hero and later offers shelter to a destitute Radha. Radha has a scuffle with Madhuri, falls down the stairs and becomes mentally unbalanced, ending up waling the streets of Madras denouncing god, truth and justice. 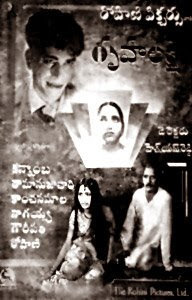 Trivia: This is the first folklore movie in Telugu. This was based on Chandala Kesava Das's stage play 'Kanaka Tara'. 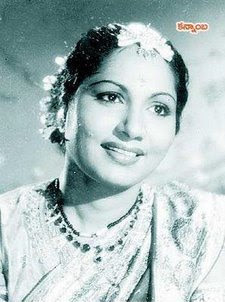 Trivia: Not just in the stage play, Santha Kumari acted in the movie Sarangadhara (1937), during which time the director of the movie P. Pullaiah fell in love with her. They eventually married the same year. 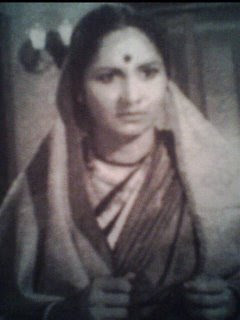 Santha Kumari played a negative role of Chitrangi with equal élan. This was the debut film for Pullaiah as a director. Synopsis: Arjuna arrives at Dwaraka and invites Sri Krishna fro Dharmaraja's Rajasuya Yagna. Nakula goes to Hastinapura and invites Kauravas for the Yagna. All the kings of Bharata varsha arrived at Indraprastha for the Yagna. After performing Yagna, Dharmaraja is accordance with advises of Bheeshma and Narada, goes to offer Agra Pooja to Lord Sri Krishna. Sushupala contradicting the superiority of Krishna deliberately accuses him before the assembly of Kshatriya Princes. Krishna, conscious of the lapse of time for pardoning Sushupala's hundred faults, severs his head with Sudarsana Chakra. Duryodhana is very much prejudiced at the inestimable reputation achieved by Pandavas. His malice is enhanced when he enters the mysterious Maya Sabha and by accident strikes his head against the wall and again when he falls into the water which appears to him as floor. Bheema's mockery together with Draupadi's laughter fanned the infuriating fire of Duryodhan's averice. Trivia: It was made with a budget of Rs. 1 lakh and take six months to make. Noted director P. Pullaiah worked for this film as assistant director. Synopsis: Viswamitra is preparing for the performance of a great Yaga for the peace and prosperity of mankind. While he sits meditating, to carry it through successfully, as any such attempts were spoiled by Rakshasas who completely invest the neighbouring forests and wreck all such attempts, he finds great many Rishis horely-harassed by the evil deeds of Ravana and his minions are praying to the Lord Vishnu to free from their troubles. Vishnu appears before them and comforts them that he has already incarnated himself as the son of Dasaratha and he would surely end their troubles. Viswamitra has seen his own vision and starts to Ayodhya seeking the aid of Rama. Trivia: Vijaya Productions is one of the pioneers in Telugu cinema in terms of content, conceptualization and execution. KV Reddy directed 5 movies under this banner. 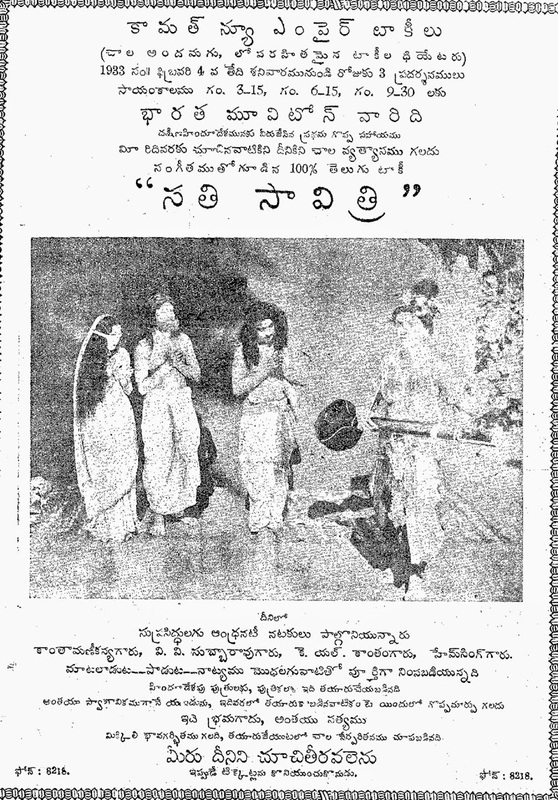 While Nagi Reddy and Chakrapani produced all the movies except Jagadeka Veeruni Katha, Satya Harischandra and Uma Chandi Gowri Shankarula Katha; KV Reddy produced these three along with directing them. This movie, along with the other flop in this combination in 1965, Satya Harischandra, signified the end of KV Reddy era. 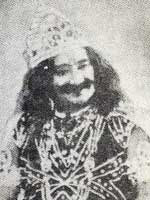 Satya Harischandra was an important role for NTR to fill in the variety of characters (especially mythological) that he played-even if it did not do well. 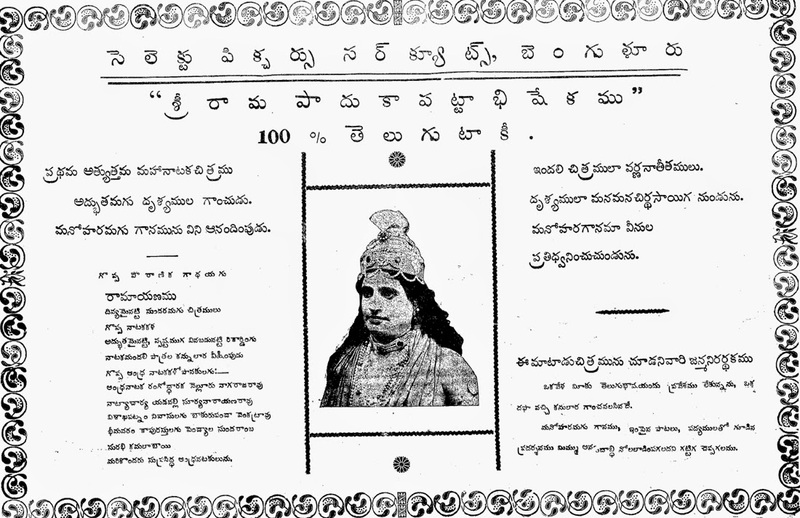 SV Ranga Rao was asked to play the role of Viswamitra, which he rejected-having played Satya Harischandra himself in the hit film of a still bygone era . This 1965 release with NTR, unfortunately, bombed at the BO and was compared to SVR's Harischandra which the viewers seemed to prefer over the new and novel version. 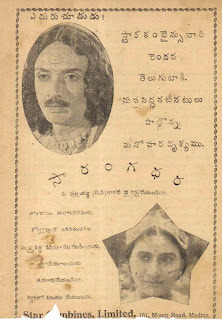 Relangi, who played Nakshatrudu in the previous Harischandra movie, played Kala Kaushikudu in this one.